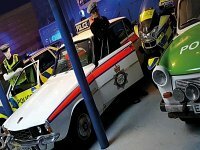 The National Emergency Services Museum are working alongside the Autism Centre for Supported Employment to offer opening days suitable for visitors with various sensory needs, starting on World Autism Awareness Day, Tuesday 2nd April and on the first Tuesday of every month. Visitors can borrow their all-new sensory backpacks for their visits and there will be comfy chill out zones on each floor. 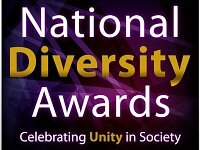 The National Diversity Awards is back and looking for nominations for a prestigious event to be held later this year.Charities, role models and community heroes will be honoured at the ceremony showcasing their outstanding devotion to enhancing equality, diversity and inclusion embracing the excellence of all our citizens irrespective of race, faith, religion, gender, gender identity, sexual orientation, age, disability and culture. Sheffield Clinical Commissioning Group is asking you to share your experiences of urgent care services in the city. This can be based on your experiences or those of someone you care for.The CCG, has been holding a series of meetings with patients and professionals recently but has decided to reach out to the general public by launching a survey. Bookings are now open for this year’s programme of Autism Dialogue events. If you are over 18, identify as autistic, or have a family member or friend who does, or if you work in an autism related field such as care or research, then this programme of events may be for you. 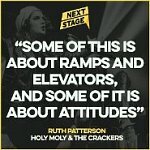 If you’re a musician or DJ with a disability or a long term health condition that impacts on your art but you still have the ambition to focus on your creativity and push it forward to the next level, Attitude Is Everything has set up a project to help break down access barriers in the music industry.Their survey gives you the chance to share your music, join a new artist network, and share your experiences. Healthwatch Sheffield has published the finding of its Home Care Report and if you’d like to be part of the conversation around the findings and the next steps it is still possible to book a place at their Strategic Advisory Group meeting on 13 March from 5 to 6pm. 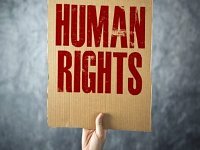 Following Disability Sheffield joining over one hundred organisations in signing an open letter to Ministers criticising the Mental Capacity (Amendment) Bill, more disabled people’s organisations are reacting to the Human Rights outrage. 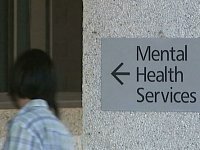 Have you had recent experiences of accessing or trying to access Mental Health Services in Sheffield in the last 2 years? If so, you are invited to take part in a survey as part of a call for evidence for the Joint Scrutiny Review of Mental Health Services. This survey closes on 8th March 2019. There’s more to Europe than Brexit! 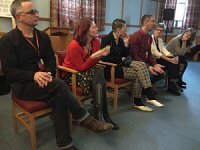 The European Network on Independent Living (ENIL) is a Europe-wide network offering a forum for all disabled people, independent living organisations and their non-disabled allies on the issues of independent living. Sheffield Carers Centre is a local independent charity offering emotional support, information and help in getting services for all carers in Sheffield. Catch up with all the news in their latest newsletter.